Let’s face it. Chances are that if you are browsing this website for any reason, you’re probably a big old nerd. That’s okay. We all are. And that is why you’re here. There is also a good chance that you or someone you love is involved in some sort of table-top, pencil and paper role playing game. Many games like this exist. From more well-known systems like Dungeons & Dragons and Pathfinder, to lesser known systems like Traveler and Apocalypse World, gamers have been rocking these pencil and paper games since the 70’s. Have you been too afraid to get started on these ventures? Do they seem too complicated and over your head? Is math hard? (It is, but that is no excuse!) 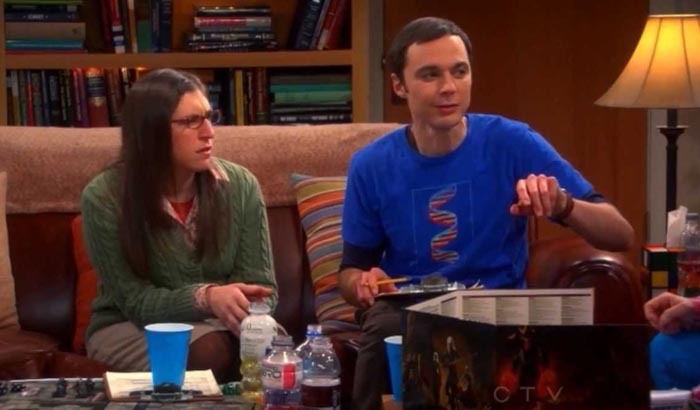 This will be part of a multi-week article series on how to get started playing table-top RPGs. For this series of articles, I will be focusing on the two most well-known RPGs on the market, Dungeons & Dragons, and Pathfinder. This first article discusses these two systems, and how to decide which one is right for you. A “system” is a term to describe which set of rules one may be using for their RPG campaign. 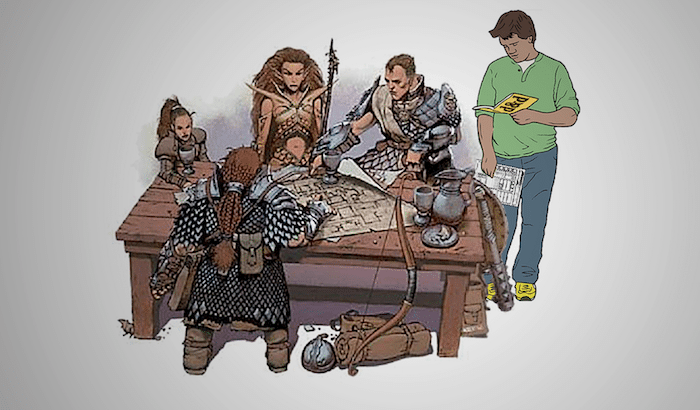 Both D&D and Pathfinder have a starter set that makes it easy to grab some friends and jump right into the adventure. It is important to note that not all systems are built the same way. Both D&D and Pathfinder run on the D20 system. The way these games work is that, if your character has a task at hand, you roll a 20-sided die. Depending on how difficult that task is, the number you roll will determine your success at that task. Many skills have a “modifier” that go along with it. You add or subtract this number to your roll to gauge your success. For example, let’s say my Half-Orc Fighter, Drambus, is attempting to break down a door. As the Dungeon Master, my job is to set a difficulty class (referred to as a DC) and decide what skill Drambus will have to use to accomplish this goal. If it is a rickety door that is barely hanging on to the hinges, this might be a very easy task so the DC might be set at 5. For an easy task, let’s say the door is thin, it might be a 10. If this is an iron door with multiple locks and several inches thick, I might make the DC a 20. Drambus has to roll his d20 and exceed whatever I decide the DC is with his “Strength” skill. So if I set the DC at 15 for a sturdy wooden door with a lock, and Drambus rolls a 10 on his die, adds his strength modifier, which is +4, he rolls a 14, total. Drambus is unable to break down the door. This is a simplified description that covers how both of these systems work, but there is much more to it than that. If you are a person who has never played a pencil and paper RPG, I do recommend Dungeons & Dragons, specifically the 5th Edition products. 5E simplified many of the skill checks that began bloating and bogging down other RPG systems. One of the innovative things that 5E offers is the new advantage mechanic. In most RPGs, the Dungeon Master will set a DC for the player to attempt to exceed to complete whatever task they are doing. Before, if a DM wanted to give their player an edge, let’s say the player spent time preparing for this task beforehand, the DM may tell them to add five to their roll total. With 5E, the DM can simply tell them they have “advantage” on the roll, so the player will roll two d20s and take the higher number. The DM no longer has to balance arbitrary number additions and subtractions, and much of the game’s mechanics rely on this advantage mechanic, streamlining the gameplay in an innovative way. Pathfinder has a bit more “crunch” as the RPG community calls it. “Crunch” refers to the amount of number crunching, and intensity of the rules associated with an RPG system. Pathfinder was developed under D&D 3.5’s Open Gaming License, which allowed for it to draw heavily off of the Dungeons & Dragons system. Many table-top RPG players regard D&D 3.5 as one of, if not the best RPG system ever developed, which leads many to believe Pathfinder is right up there with it. Many people still play 3.5 to this day. Pathfinder is also published under the OGL, so anyone can use its mechanics to design their own materials for it. This allows for a lot of customization, additions, and subtractions to the system. There are a ton of supplemental products to go along with Pathfinder, however you get started in it. Pathfinder has countless free online resources for use with the game, and has been in production since 2009, with plenty of supplementary content released since. If you feel like “crunchier” mechanics is where you want to be with a lot of room for customization, give Pathfinder a try. This, of course, is a brief overview of the two most popular RPG systems on the market. Next week, I will cover the introductory products for these two systems that will help you get started on your adventures. For a pretty damn comprehensive list of RPG systems, check out this Wikipedia link,. If you have any questions, feel free to contact me on Twitter.